Property 3: BAY VIEW HOUSE ITHAKI GREECE.
" Vathi View. Traditional Greek house with stunning views over the Bay of Vathi. Property 5: " Vathi View. 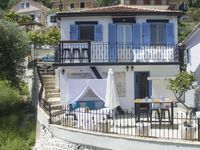 Traditional Greek house with stunning views over the Bay of Vathi. Property 14: A true treasure in Ithaca. 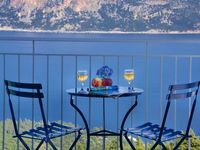 Property 19: SUPERB LUXURY STUDIO IN ASSOS-Stunning bay views -2 min to beach & tavernas! Liladi Stone-Built Villa With Private Pool. Property 23: Liladi Stone-Built Villa With Private Pool. Property 41: Exceptional sea views from this delightful villa nestled into the hillside. Excellent views and well appointed Would have like to have the deck chair cushions to make it more comfortable to sit on!